Location, location, location! 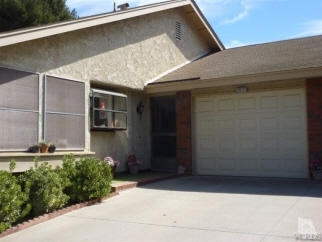 This lovely home is nestled in a quiet cul-de-sac and backs open space with a gorgeous view of the mountains! The kitchen is light and bright and has been tastefully remodeled with corian countertops. A huge enclosed sun room adds extra living space and additional storage plus nice sunlight and views. Newer A/C furnace and ducting, newer flooring, cooper plumbing throughout, and newer roll-up garage door. Life is good, welcome home!